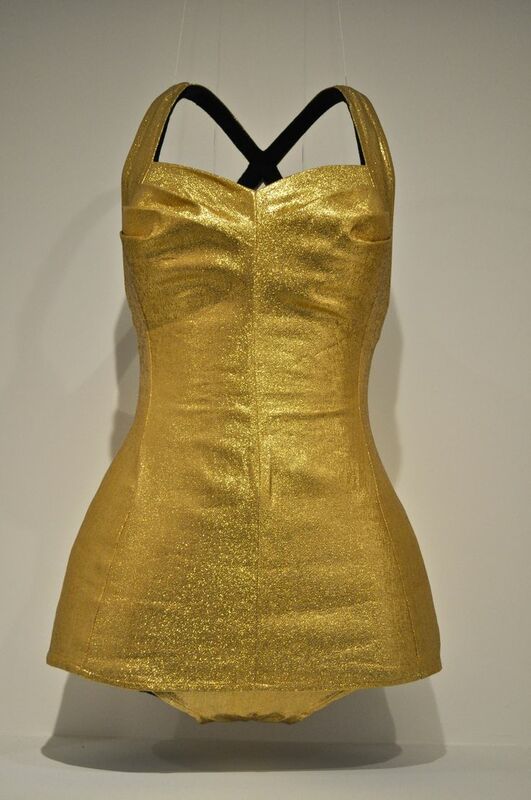 Feast your eyes upon my latest vintage treasure, this is a vintage Cole of California Gold Lame Swimsuit! It was designed by Fred Cole as a promotional item for the movie Million Dollar Mermaid, featuring Esther Williams in the 1950s. I had been drooling over it since I first saw it and was searching high and low to get my hands on one. I finally found this exact one on Ebay in PERFECT and Brand New condition. If you happen to see a Million Dollar Mermaid bombshell vintage beauty, lounging at the beach this Summer, yeah, that would be little ‘ole me. Here are some links to some similar vintage suits, if you wanna be a mermaid too!